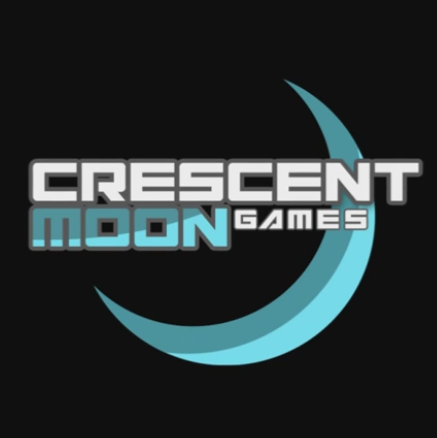 Crescent Moon is a solid publisher of Android games, offering titles from a variety of developers across nearly every genre. Today it's the latest company to partner with Humble, offering an impressive collection of Android games in a DRM-free format with a "pay what you want" structure. Four of the games included in today's bundle can't be had on the Play Store, at least at the moment. Right now you can pay $8 to get all ten titles, and more are on the way. 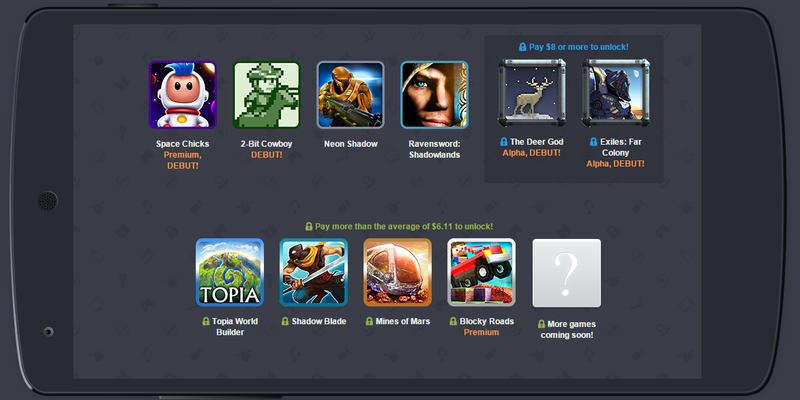 The new Android games in this bundle are Space Chicks, 2-Bit Cowboy, The Deer God, and Exiles: Far Colony. Space Chicks is an endless runner with circular gravity mechanics, similar to They Need To Be Fed. 2-Bit Cowboy (get it?) is a retro-style platform game with standard (non-runner) controls, adopting a visual style and control system that harkens back to the original Game Boy. The visuals are in greyscale, but are surprisingly robust given that limitation. The Deer God is being offered in an alpha stage. The full version of the final game will be made available to Humble Bundle buyers. It's an artsy 2D exploration game wherein you alternately play as a buck and a predator, accessing new skills to traverse new areas. Exiles: Far Colony, also offered as an alpha with a full version available in the future, is the most complex title in the bundle. It's a single-player over-the-shoulder shooter in the style of Gears of War, with a spacefaring setting, vehicles, and big boss battles a la Mass Effect. Currently you can pay any price to get Space Chicks, 2-Bit Cowboy, and the older games Neon Shadow (a Halo-style shooter) and Ravensword: Shadowlands (an Elder Scrolls-style 3D RPG). Pay above the average price to get the sandbox terraformer game Topia World Builder, ninja-themed endless runner Shadow Blade, the Minecraft-inspired platform/building game Mines of Mars, and the premium version of the Trials/Minecraft mashup Blocky Roads. Pay a flat eight dollars to get early access to The Deer God and Exiles. More games and other goodies will be added as the total sales increase. Even without counting the four new games or any future additions, the content in the Crescent Moon Humble Bundle would run you $11 on the Play Store. Not bad at all. As with all Humble Bundle sales, you can choose which portion of your payment benefits the publisher and developers, worthy charities like the Electronic Frontier Foundation and Child's Play, or the Humble organizers. Payments are accepted via standard debit and credit cards, PayPal, or Amazon.